Macau’s Judiciary Police recorded a total of 840 suspected gaming-related crimes in the first half of 2018, down by approximately 3 percent when compared to the prior-year period, according to a press briefing held on Tuesday. But the police have seen more gaming-related cases of suspected loan-sharking in the period. The Macau authorities typically label cases as gaming-related when they take place inside a casino or in its surroundings, but have been spreading their net. During the first half of this year, the police recorded a total of 254 gaming-related cases of suspected usury – unlawful lending of money and commonly known as loan-sharking. 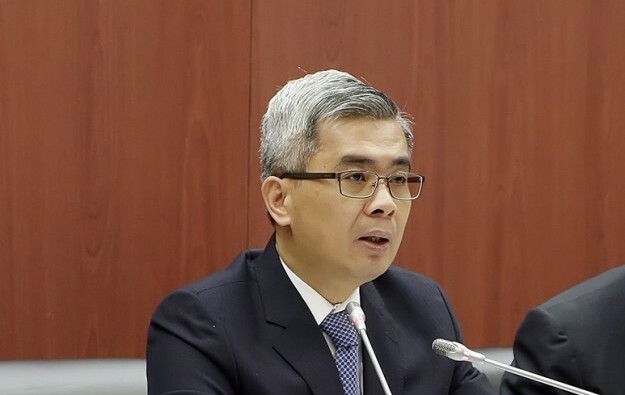 The tally represented a 38-percent increase when compared to the prior-year period, according to Macau’s Secretary for Security Wong Sio Chak (pictured in a file photo), who led Tuesday’s press briefing. A reason for the rise seen in the number of gaming-related cases of suspected loan-sharking had to do with the police initiating more investigations in areas some distance from casino properties but where the suspects were nonetheless thought to be targeting casino gamblers, said Mr Wong. “These [suspected loansharking] cases had been prevented from evolving into unlawful detentions,” the security official said, referring to situations where the illegal lenders seek to hold a victim captive until they arrange for friends or family members to settle the ‘debt’. He added that some of the loan-sharking suspects had been working in flats. Intelligence gathered from neighbouring residents and property management workers had helped the police in disrupting the alleged criminal operations. “In the first half of 2018, the police have initiated more investigations against loan-sharking cases, and then successfully dismantled several loan-sharking gangs. That helps combatting gaming-related crimes,” Mr Wong noted to local media. The Macau security official also stated that illicit gambling websites that pirated Macau casino brands “hurt Macau’s image”, even if such sites had no connection to the city. The Judiciary Police had investigated and analysed these gambling websites, and had subsequently requested the web hosting companies working outside Macau to block or remove these websites. So far about 90 related websites had been ” blocked or removed”, Mr Wong said on Tuesday. In the first half of this year, gaming-related cases involving a total of 1,015 suspects had been sent to the city’s Public Prosecutions Office, down by 3.3 percent year-on-year, the security official said.